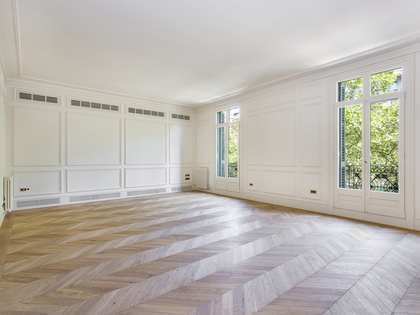 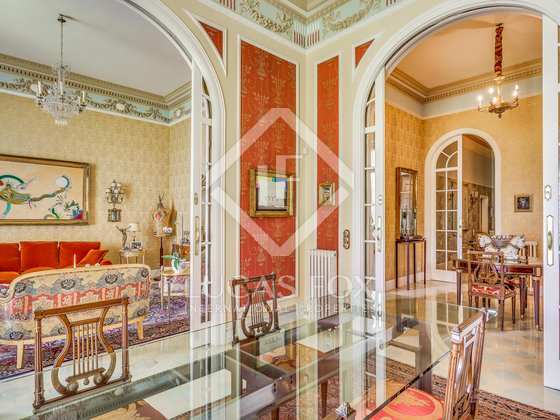 Magnificent 4-bedroom apartment for sale close to Passeig de Gràcia in Barcelona's Eixample Right. 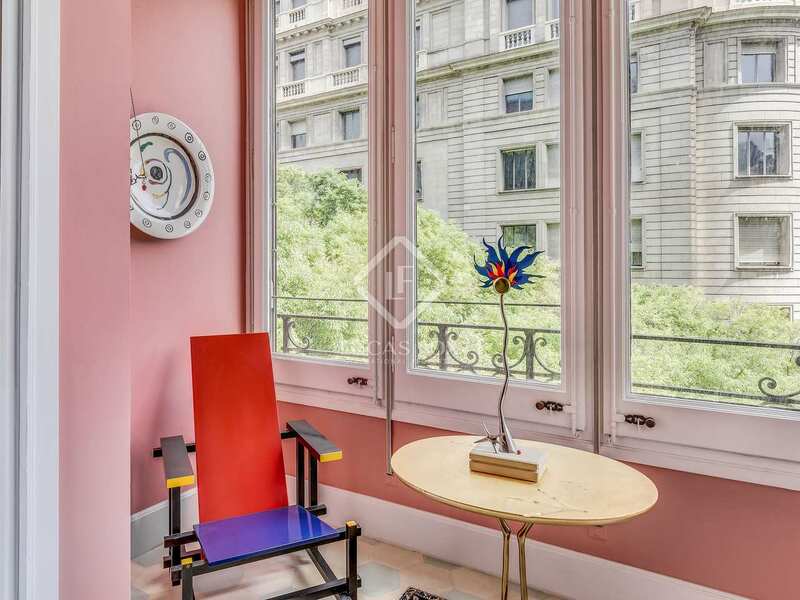 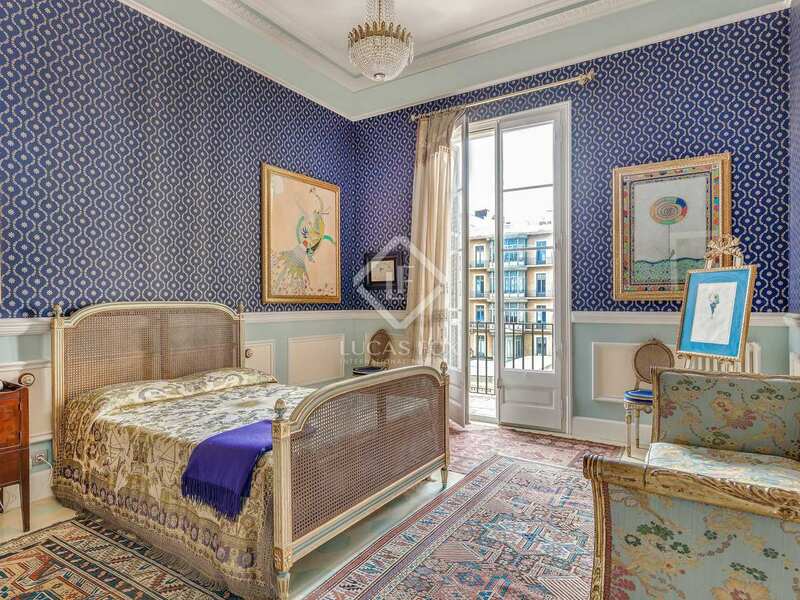 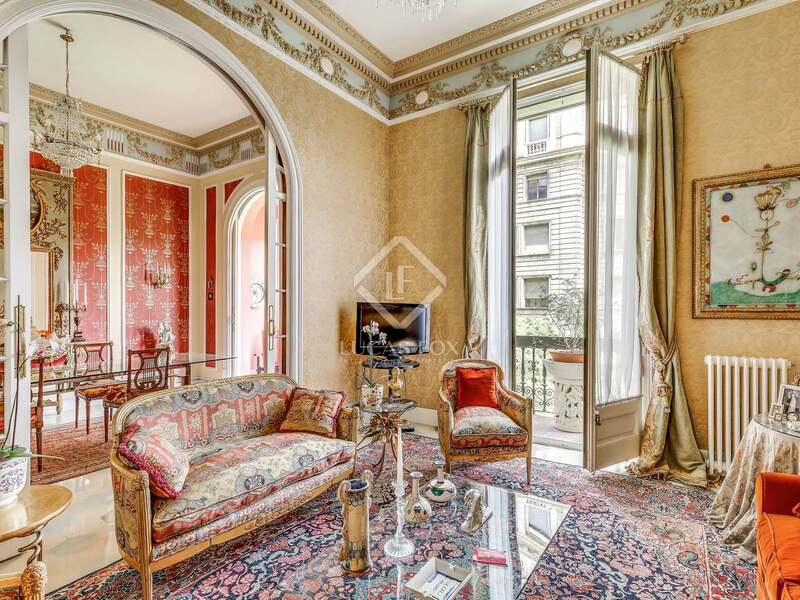 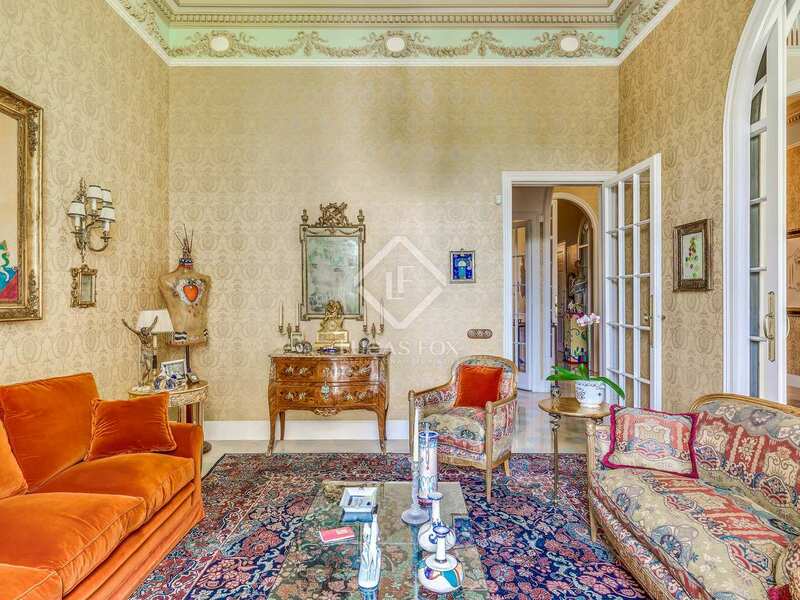 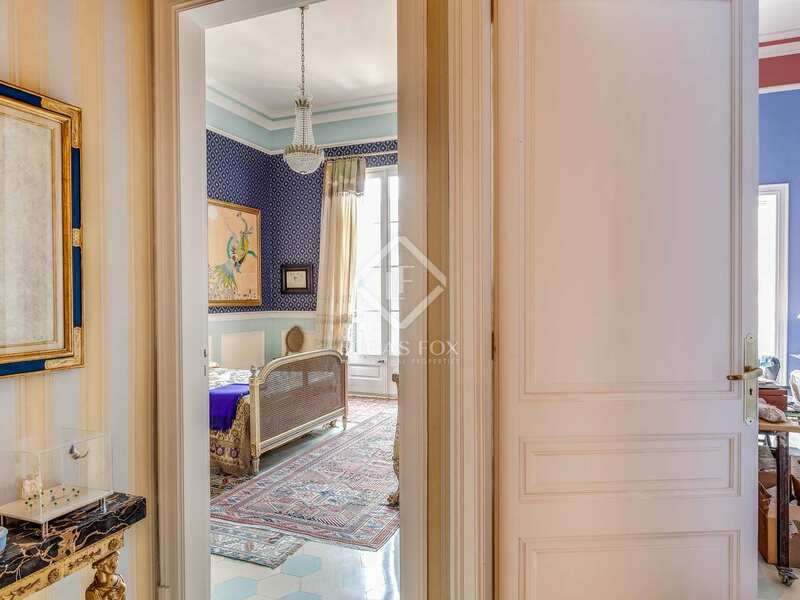 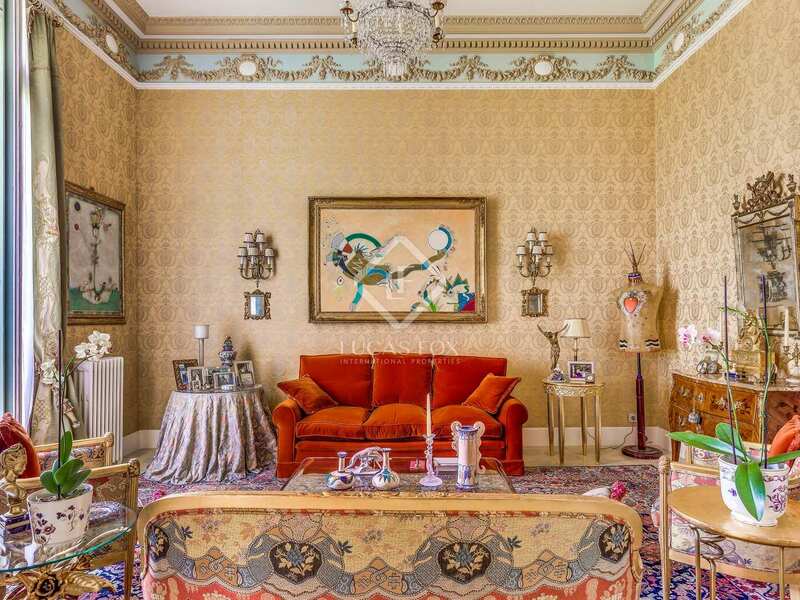 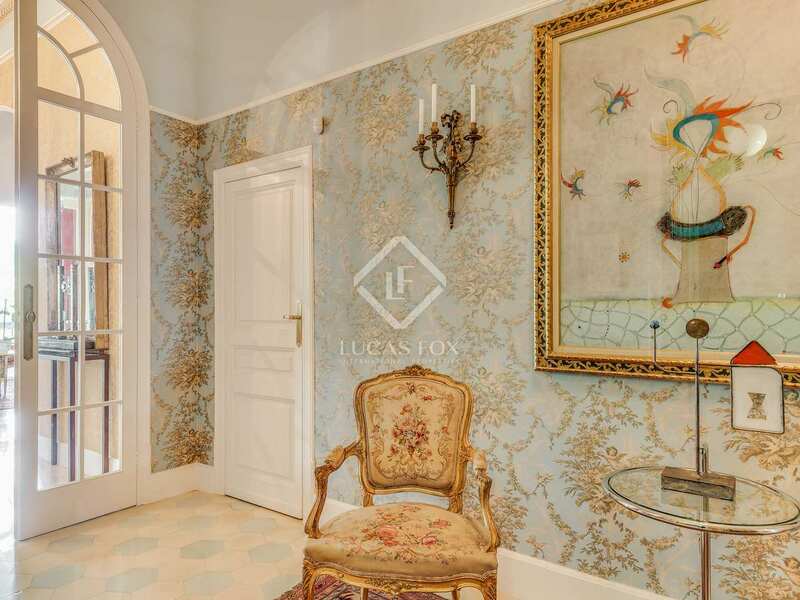 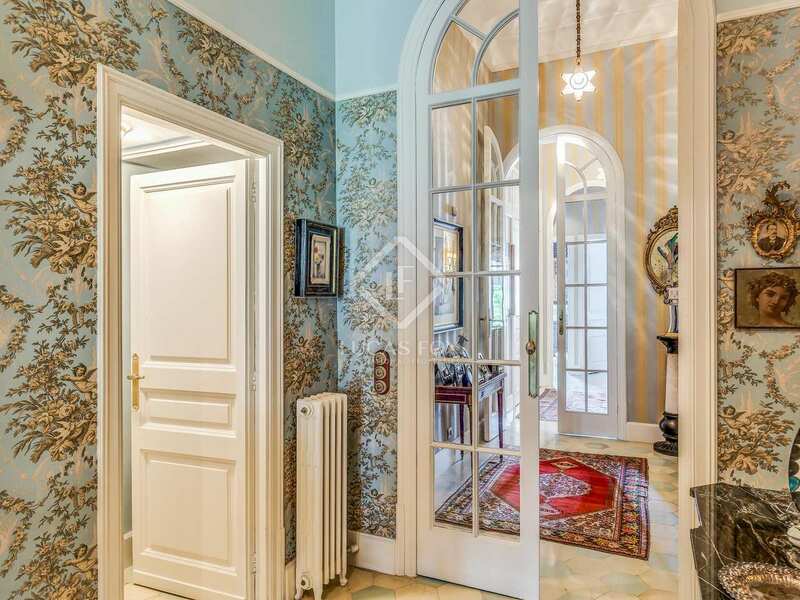 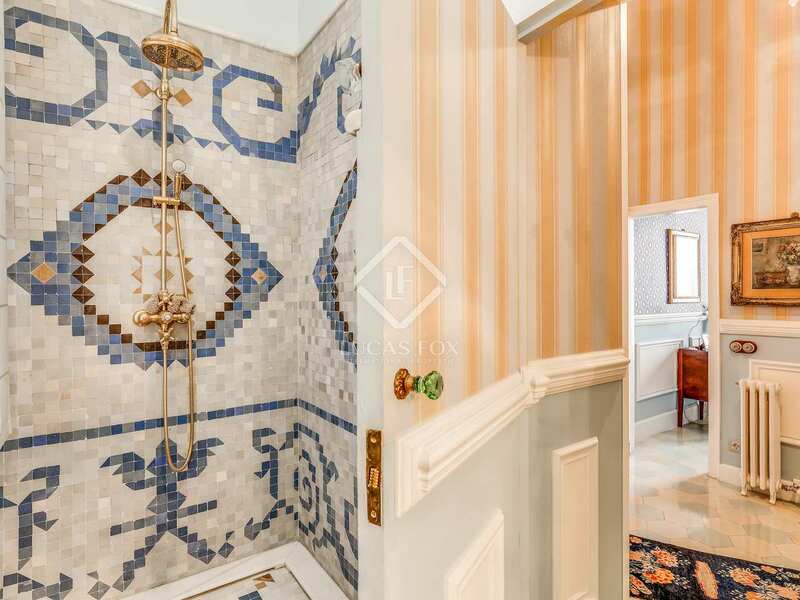 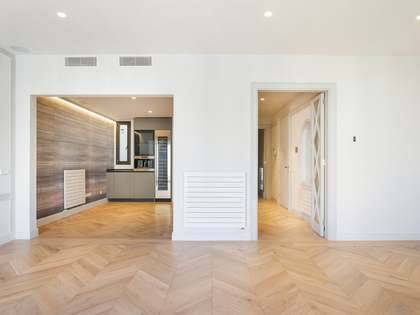 This magnificent city centre apartment is located just a few meters from the exclusive Passeig de Gracia and Plaza Catalunya in Barcelona's Eixample Right neighbourhood. 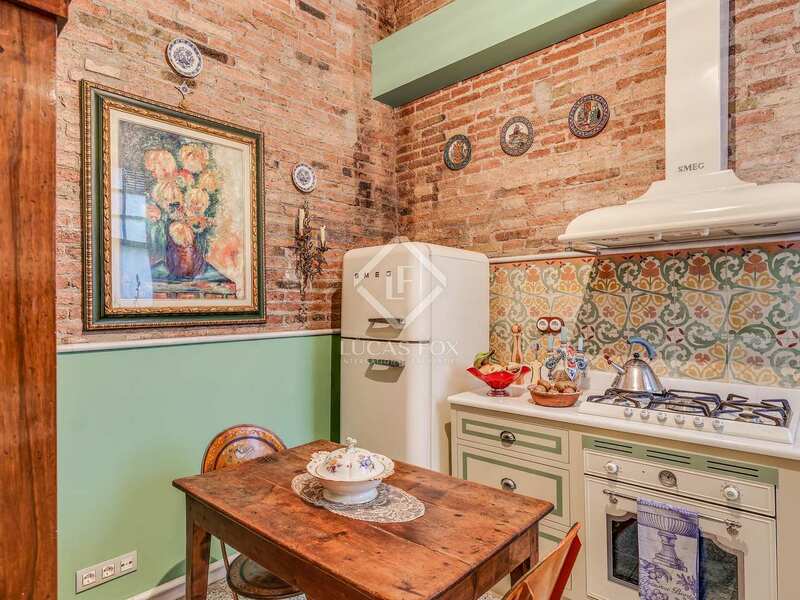 The unique apartment has been fully renovated and decorated by an artist making use of antique elements gathered from across the world. 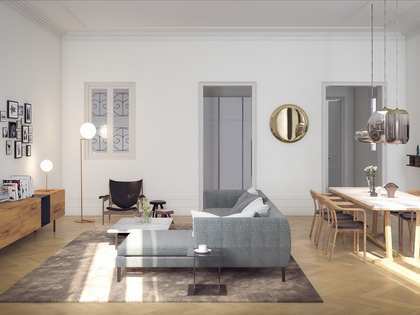 The living areas include the spacious living and dining areas with a balcony and abundant natural light. 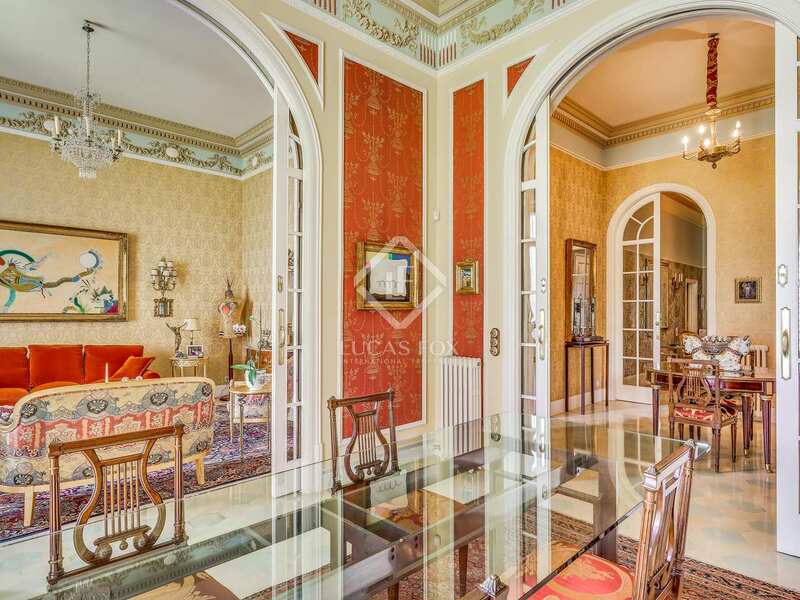 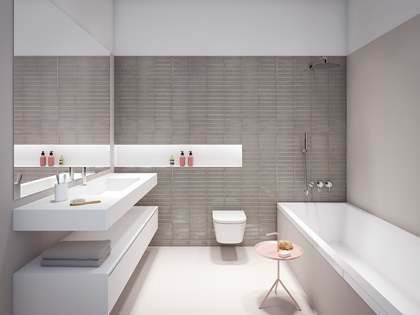 The space stands out for its 4m high ceilings with decorative moulded cornices and interior arches. 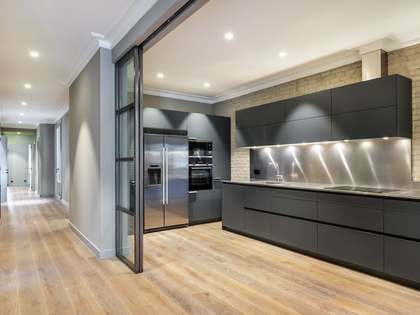 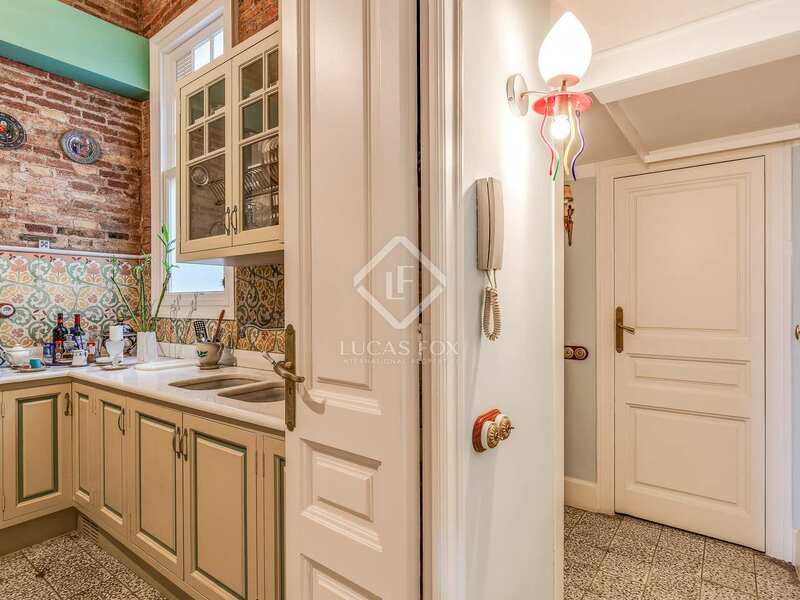 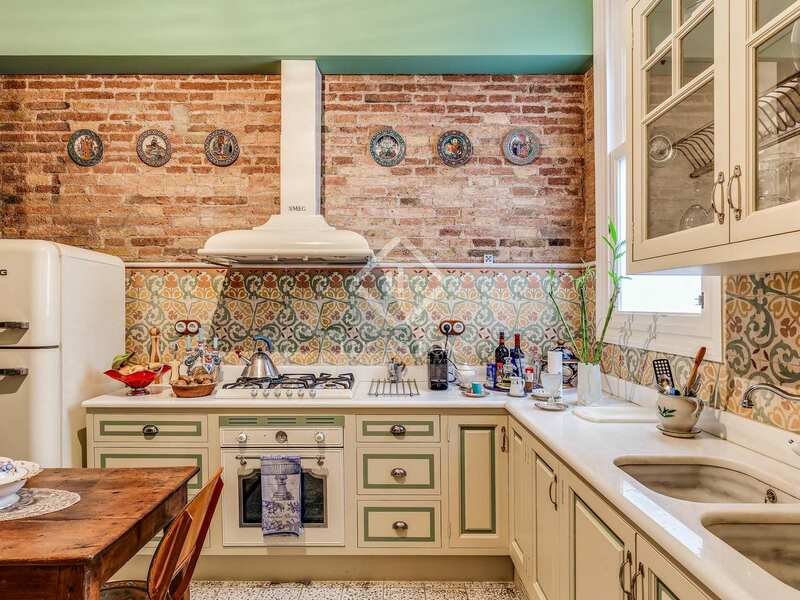 The kitchen is well-equipped and combines mosaic tiling with exposed brickwork with excellent results. 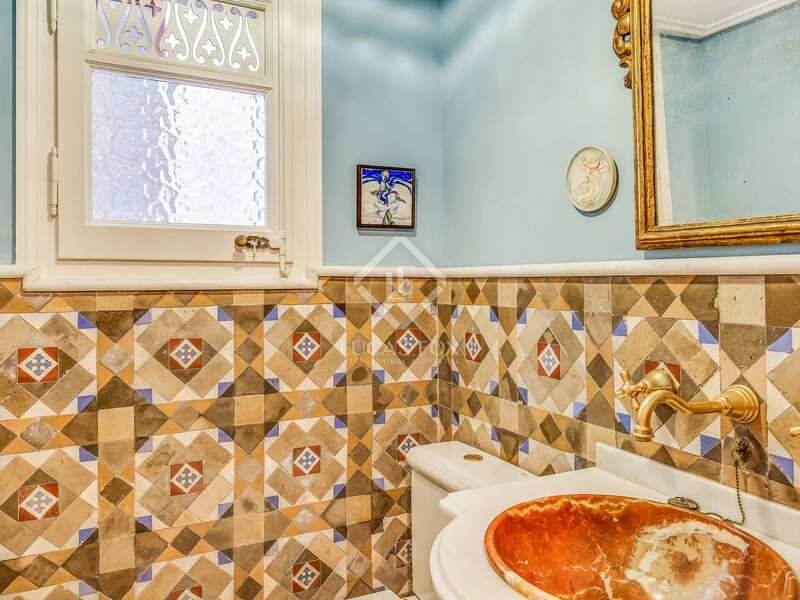 The thoughtful renovation conserved original features such as the radiators, tiled flooring and glass doors. 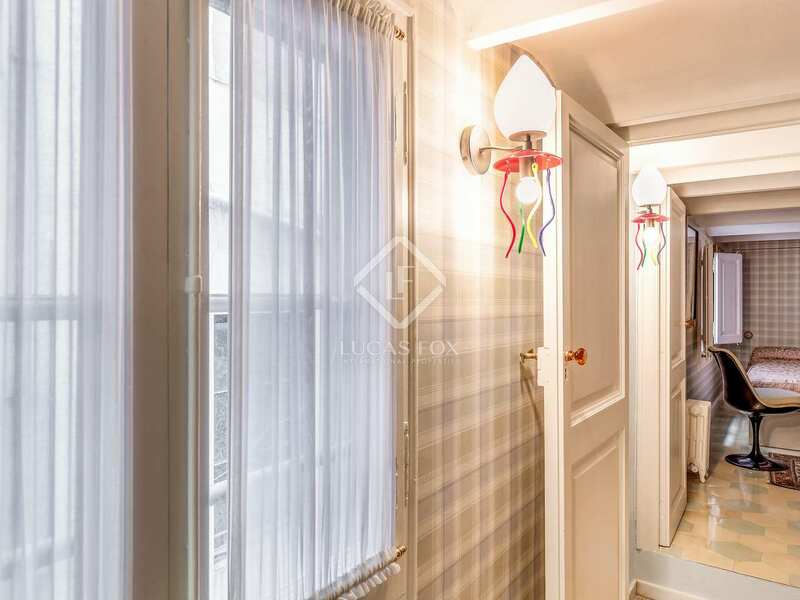 The 220m² apartment has a total of 4 bedrooms: 1 double bedroom with en-suite bathroom, 1 single bedroom with en-suite bathroom and 2 further double bedrooms. 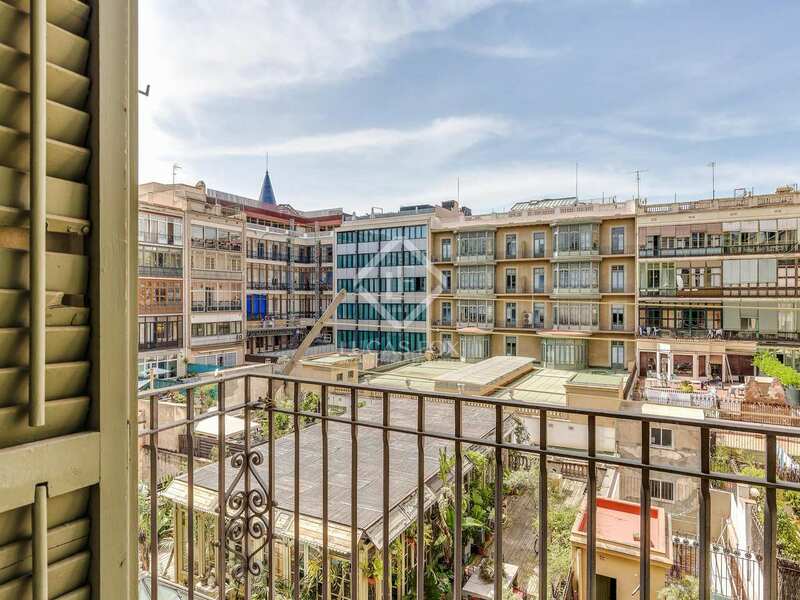 Two of the bedrooms are in the attic whilst those facing onto the street have access to a sunny balcony. 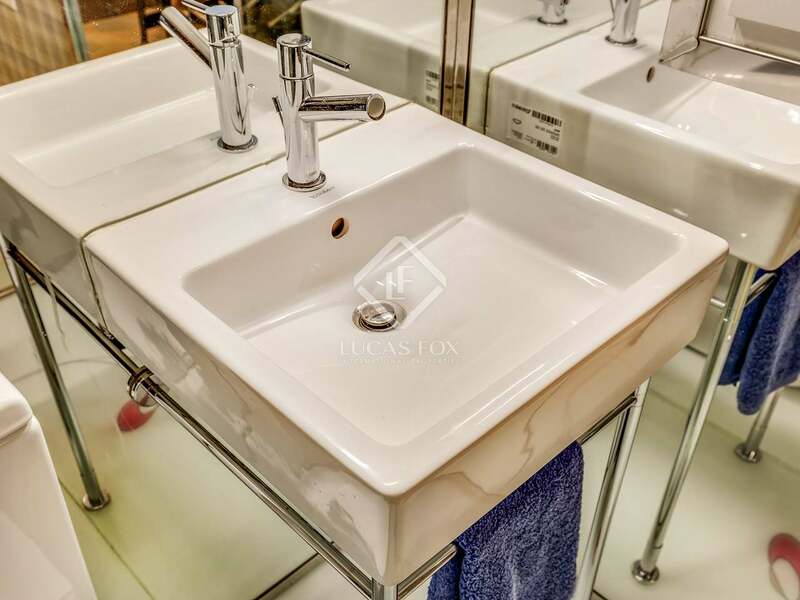 The apartment has 2 complete bathrooms plus and guest toilet. 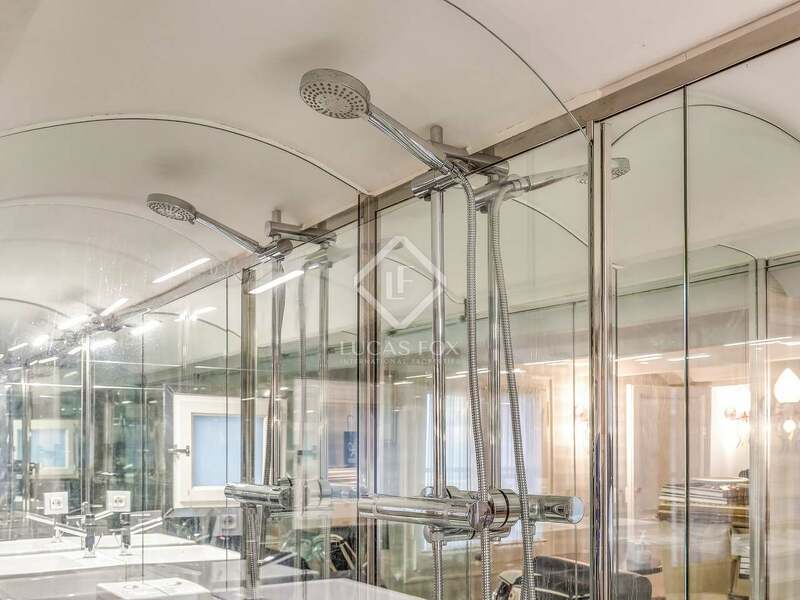 Further notable features include an independent service entrance and lift. 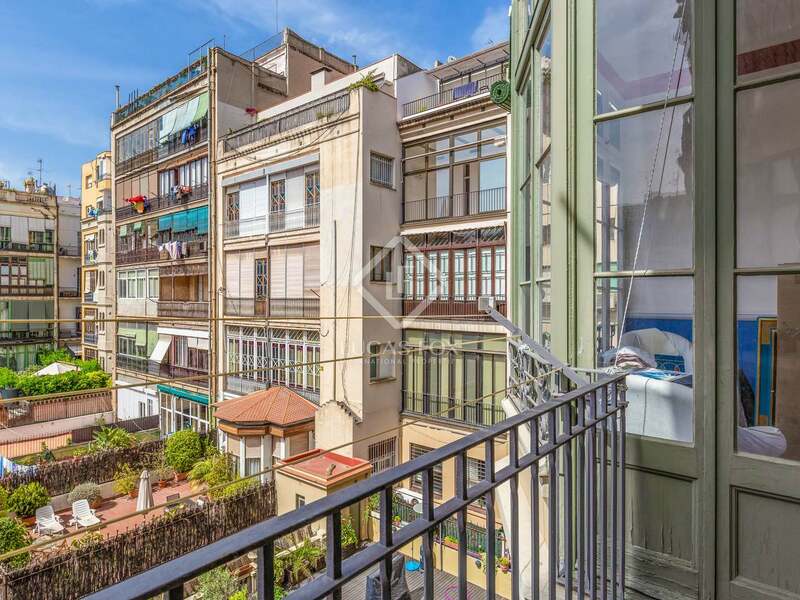 There is also a communal terrace and storage areas. 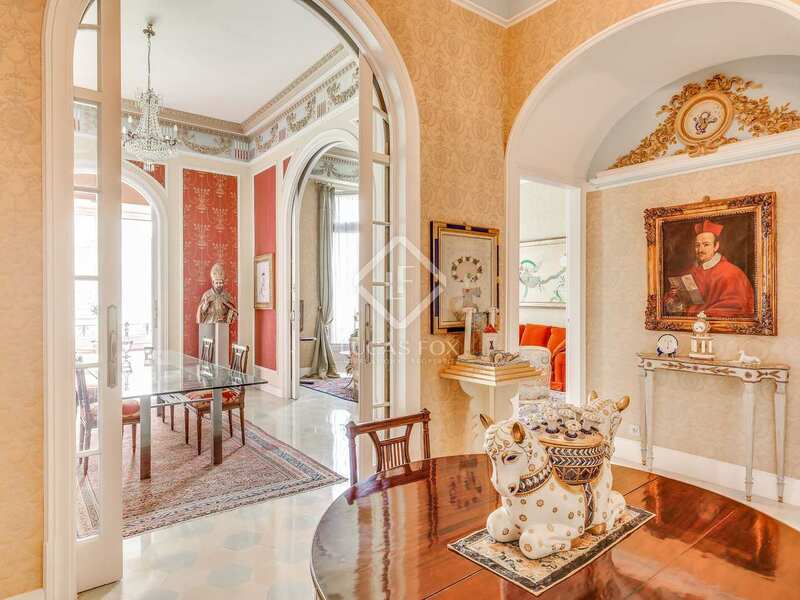 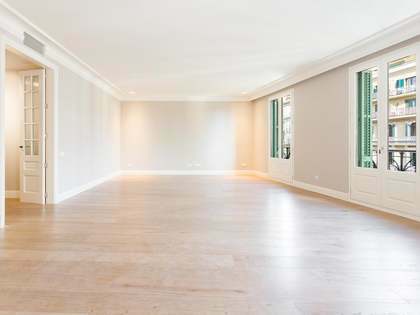 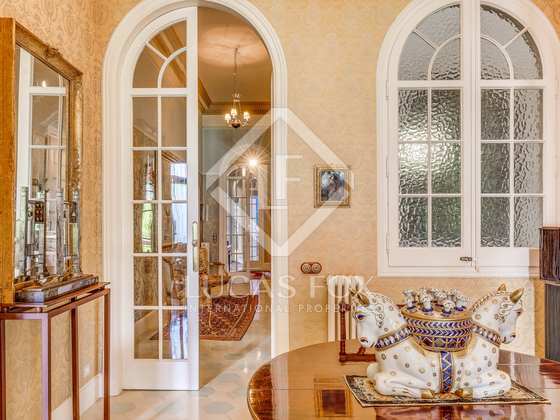 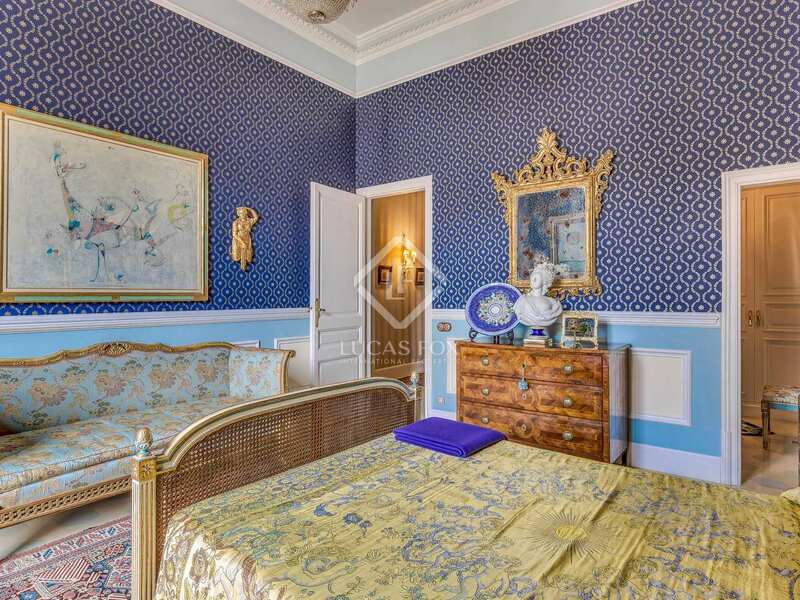 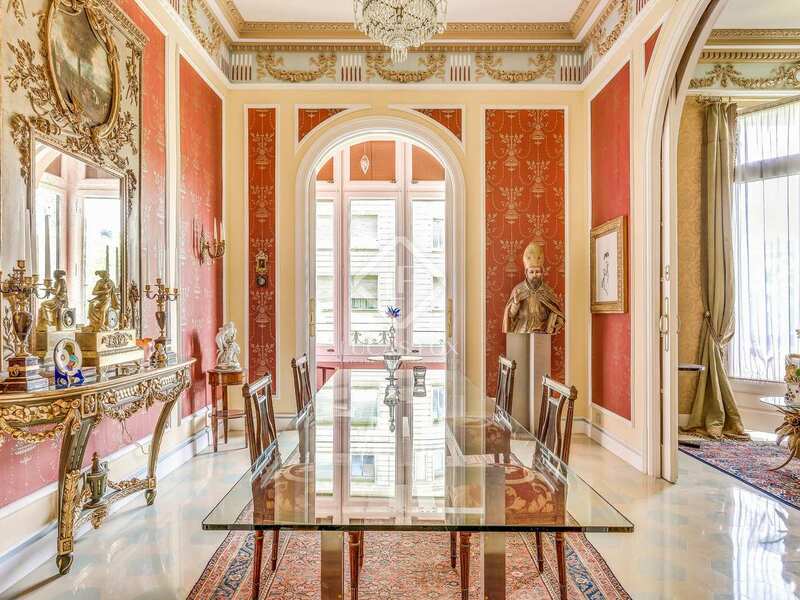 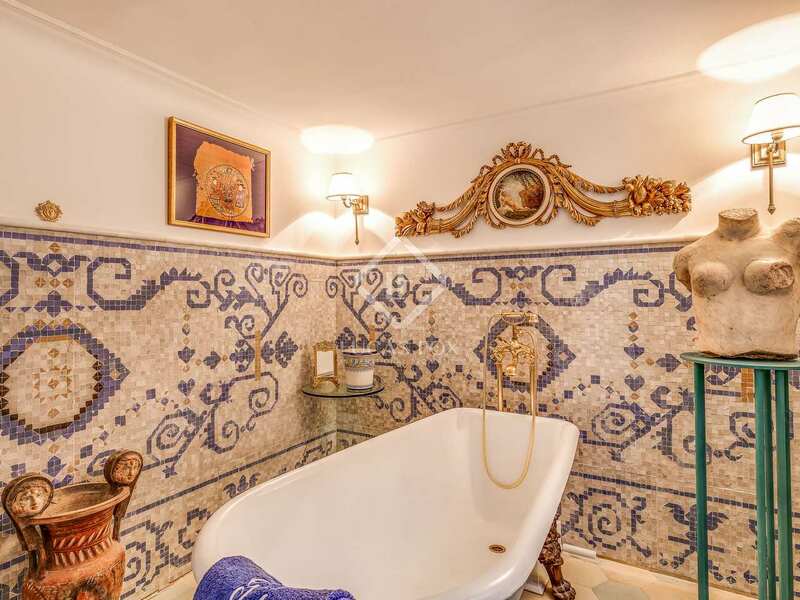 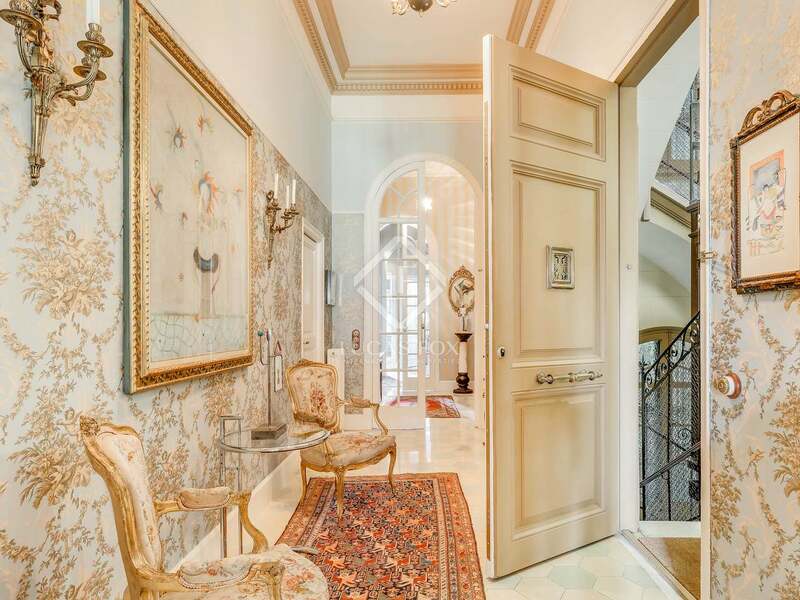 A truly impressive apartment for sale in Barcelona. 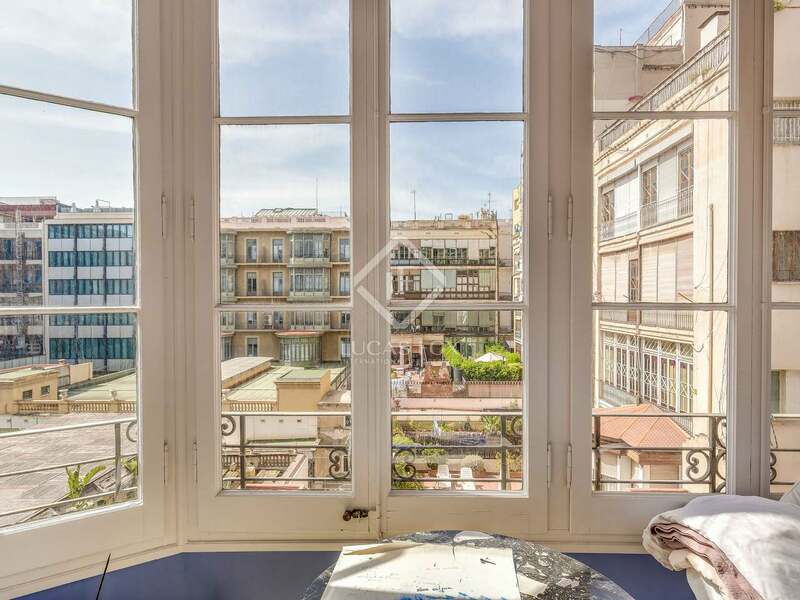 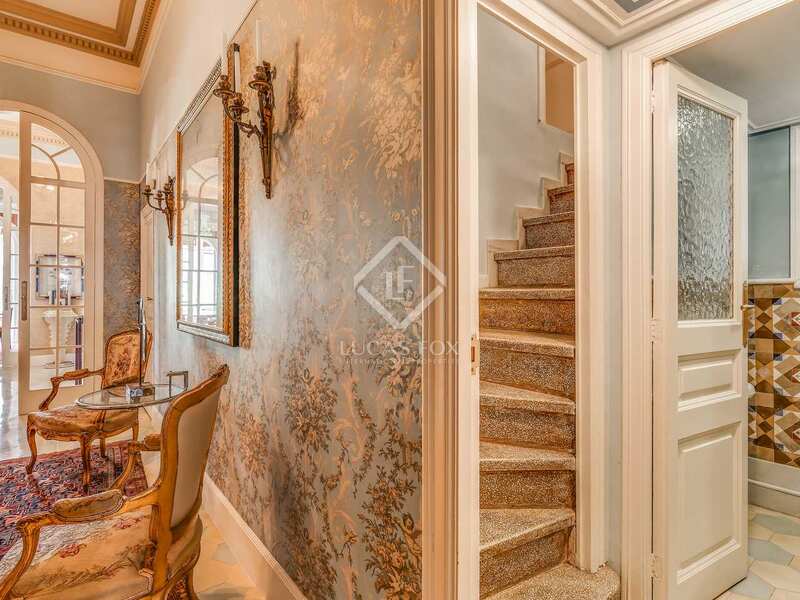 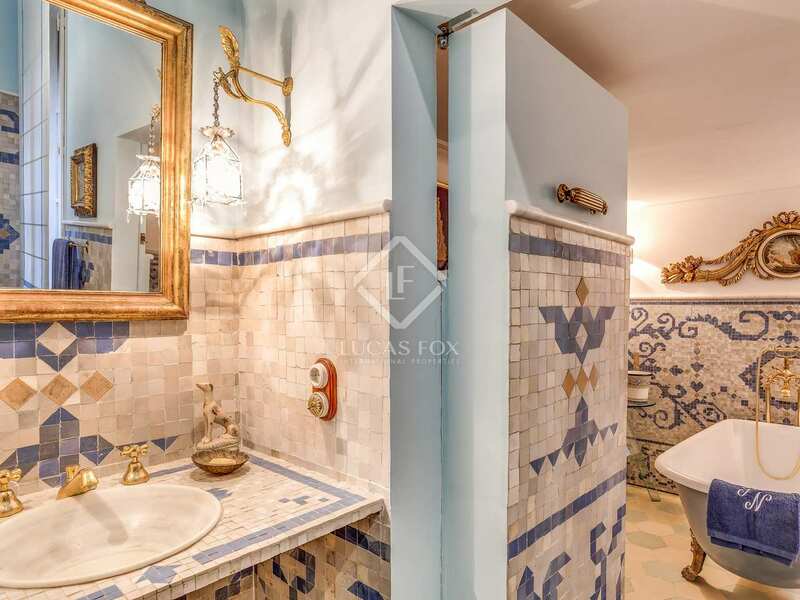 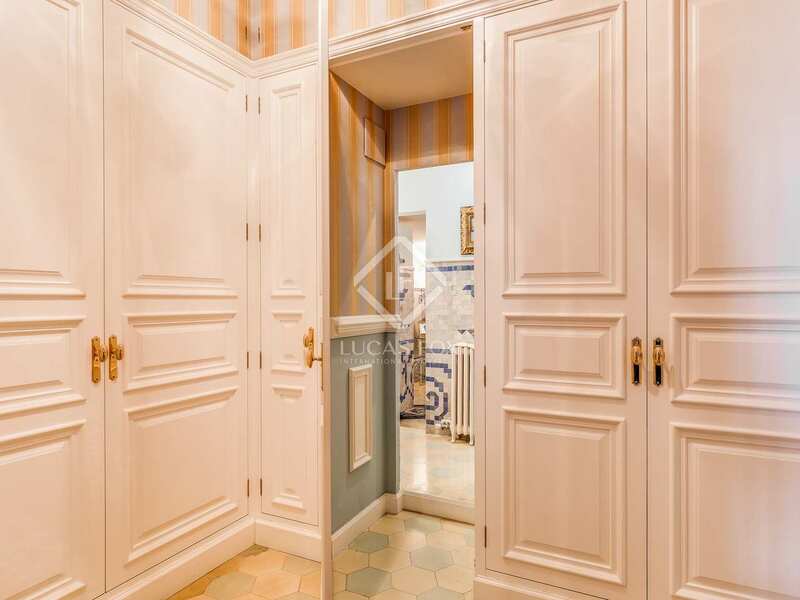 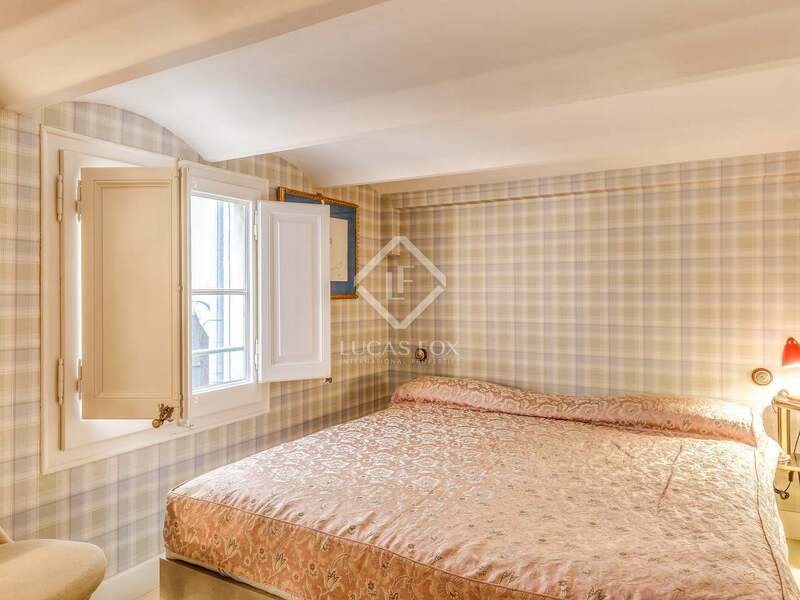 This apartment is located in Barcelona's sought-after Eixample Right, close to Passeig de Gràcia with its exclusive shops and excellent restaurants. 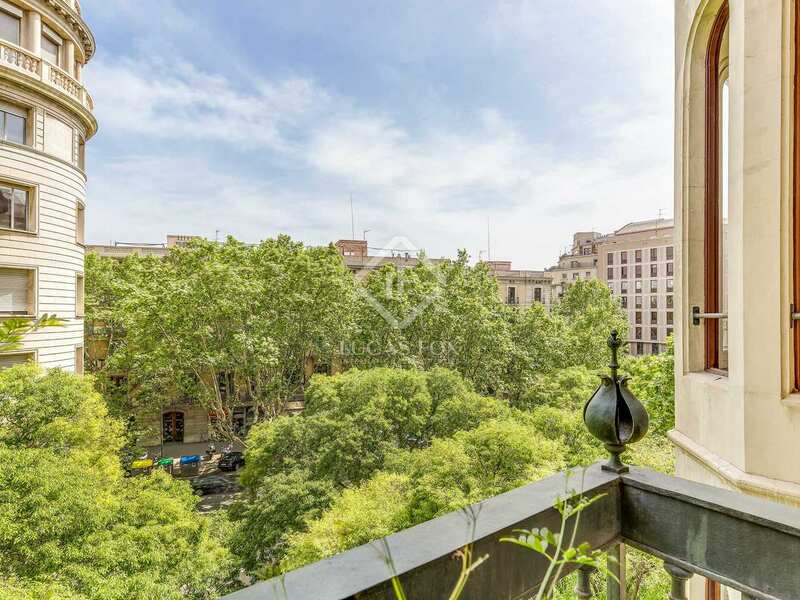 Plaza Catalunya is also close by, as are public transport connections to the rest of the city and the airport.